to those who would otherwise be unable to access help and often provide relief from suffering better than prescribed medications. We want to take Yo San’s vision and go further. We’d like to see an acupuncture clinic in every hospital, every health center, every medical school across the country. Together, our teachers, students, patients, and benefactors, we can all bring more relief to suffering in the community and improve the health of the world, one person at a time. The majority of our patients…do NOT have insurance and also are very low income, very low resources to be able to pay out of pocket for this kind of a really medically necessary procedure. Here, it is offered for free which is a tremendous opportunity for patients to be able to access something they would probably otherwise not be able to access, but that, in fact, is actually oftentimes more effective than prescription medications for the management of pain. We welcome you to explore the various ways to give to Yo San today. There are many ways to show your support for Yo San University. We can help you structure a tax deductible gift and gifts as part of your estate planning. The University welcomes appreciated securities, stocks, and bonds, as well as those of real estate and personal property. You can also make a pledge to support the school over a period of time. To learn more about these options, contact the YSU Development Officer at 310-577-3000 ext. 139, or by email at development@yosan.edu. Unrestricted gifts are among the most valuable to Yo San, because they allow us to allocate funds wherever the need is greatest and take advantage of unique opportunities as they arise. Directed gifts allow you to designate your gift to a specific program or priority area at Yo San. This type of gift gives you the satisfaction of knowing you are supporting a program that is of truly personal meaning. Endowment gifts, which provide security over the long term by expanding Yo San’s permanent financial base. This creates a predictable source of future income for such priorities as endowed faculty positions, scholarships and fellowships, and broad-based interdisciplinary research projects. A lot of people in our community who really, really need to have acupuncture and they’re unable to afford it. Yo San university makes it possible for these people to have this treatment you can’t put a price on the healing that happens with them. It’s not possible without the support of our donors and, therefore, I just feel so privileged to be able to give to Yo San and support these different outreach programs. The simplest and easiest gifts you can make, cash gifts may be made through credit/debit card transactions, outright cash, personal checks, cashier’s checks, or money orders made payable to: “Yo Sa University.” Yo San also has a wire account; please call 310-577-3000 ext. 139 for details. Securities provide considerable tax advantages when transferred to Yo San before they are sold. If you have held your securities for more than one year, you may find that your gift will provide a two-fold tax benefit, creating an income-tax deduction as well as helping avoid capital gains taxes that would have been due upon their sale. You also may make a gift of mutual funds, non-marketable stock, or closely held stock. Many employers will match your gift to Yo San, making it an easy way to double or even triple the value of your gift. Please send your contribution as indicated above, along with a completed matching gift form (available from your company’s personnel or employee relations office). For online gifts, simply follow the matching gift instructions when you fill out the form. Personal residences, second homes, income property and vacant land gifts offer a wide variety of tax and other benefits. While most give their entire interest away, it is also possible to give only a portion of the property (an undivided percentage interest) while retaining the rest for other purposes. Yo San University can help you create guaranteed retirement income or reduce your estate or capital gains taxes. Make a formal statement of your intention to give. Pledged gifts are directed to Yo San through regular payments over time. Each payment on your pledge is eligible for an income-tax charitable deduction. This is one of the best ways to give more generously than you may have thought possible. 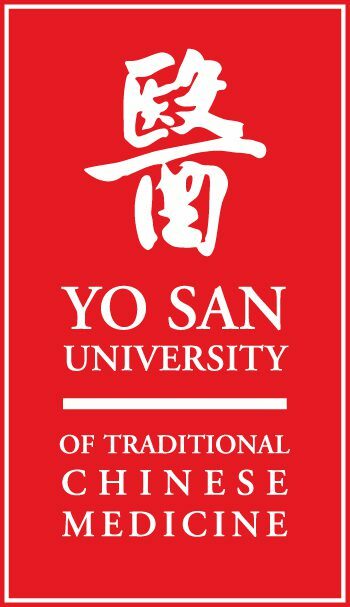 If we did not have Yo San University involved, there would be no community acupuncture clinic. That would be very sad, because there are a lot of our seniors now, over the years, they’ve seen the benefit from the clinic, they look forward to the opportunity to come in, and to meet with the clinicians. There’s a relationship; they’re part of our family.